Congratulations to Jim Thome on cresting 600 homers! 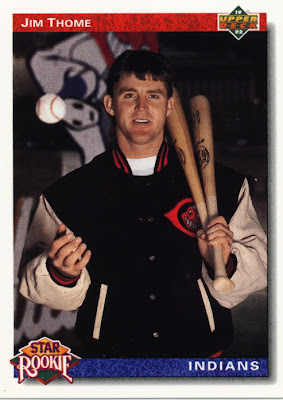 Love his team jacket on this suitably named Upper Deck Star Rookie card. 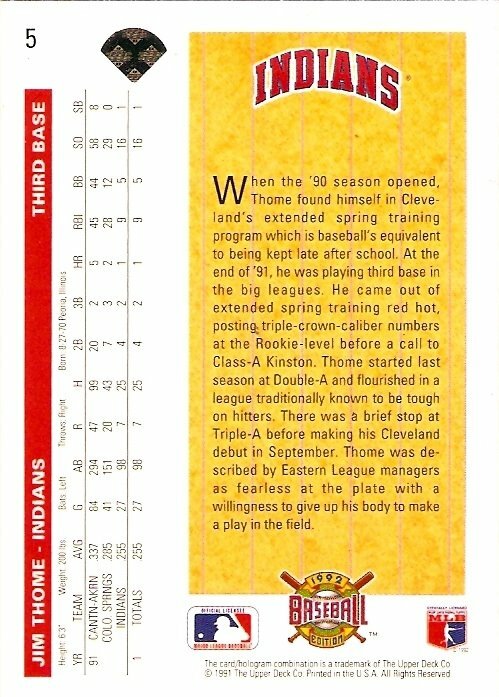 For all his top-10 MVP finishes, Thome's only been to 6 All-Star games in 21 years, a low total for someone with such consistent power numbers. Like fans in Cleveland, Philadelphia, and Minnesota, I'm glad to see Jim getting recognition now and look forward to a few more moon shots before he finally hangs up his spikes.